As you work your way through the exhibit you will meet a variety of species of marine creatures. 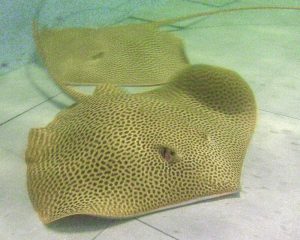 Ray Lagoon is home to Southern Eagle Rays and Blue Spotted Mask Rays. This exhibit is also where you can find White Spotted Sharks, Port Jackson Sharks and Australia’s largest sting ray species; Smooth Rays. The Ray Lagoon is the first major encounter in your journey, therefore, a few extra minutes will be spent here allowing to calm your nerves and reveal their individual characters. 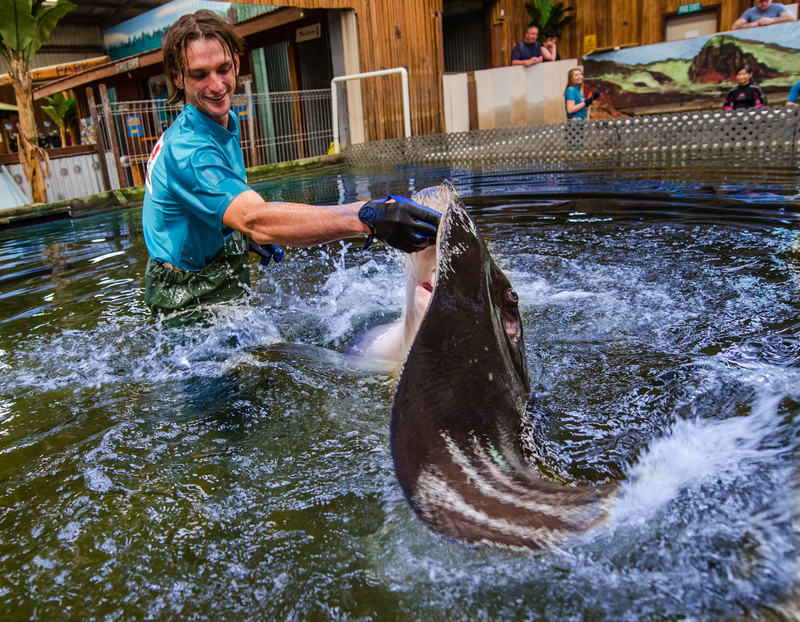 As we marvel at the wonders and adaptations of the incredible animals an aquarist/guide will help you to interact with them to gain a greater understanding. Australia’s Eastern coastline is vast, diverse and changing. It is home to one of the largest stingray species in the world. Along with a variety of endemic species, which is a plant or animal species native or restricted to a certain area. This exhibit tells the story of the changes experienced by the animals, land and people. It engages visitors with hands on interaction. Your guide will talk of the most infamous species of Stingrays, whilst establishing wonderful connections between visitors and the fascinating species. The interactive exhibit fosters awareness, understanding and relationships between humans and elasmobranches. Irukandji has pioneered a unique interaction between humans and marine organisms to better our understanding of today’s marine ecosystems. Australia’s coastline is undergoing some of the fastest and most dramatic changes in the world. These devastating changes are caused by ocean acidification, climate change, overfishing and industrial expansion. Time is of the essence and researchers are desperately racing to document the diversity of life in this region. We are highlighting some of this research and raising awareness about our rapidly changing coastline.